Mr. A K M Numan is an FCMA (formerly FICWA). He did his professional degree CMA in the year 1989 from the Institute of Cost Accountants of India, Kolkata. Now he is a Fellow Member of the Institute. His expertise lies in Cost Audit and Management Audit and good proficiency in cost analysis and control. He started his professional career immediately after his CMA Course and joined in State Bank of India Home Finance to exhibit his professional excellency and worked in different capacities like credit, loans and advances, finance and accounts, Chief Instructor, administration, investment port folios etc. in a commendable way with a career span of 14 years with SBIHF. He was an excellent instructor in the field of reasoning, mathematical ability, English language and latest amendments in finance and taxation. 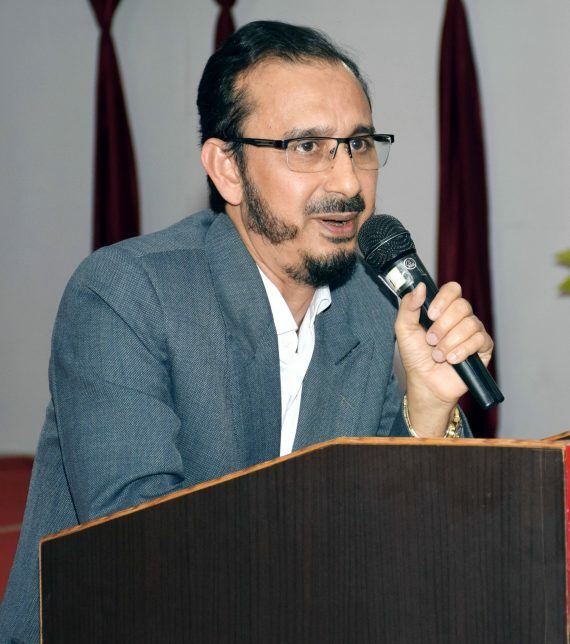 During his tenure with SBIHF he got trained to excel his managerial capability on “Creativity, Problem Solving and Decision Making” in the reputed Management Institute Xavier Labour Relation Institute, Jamshedpur under the guidance of renowned Management expert and Professors of XLRI. Due to his personal reason he took voluntary retirement from his illustrious career with SBIHF as an Assistant General Manager (Finance and Administration). Mr Numan is a good learner and known for his inclination towards teaching. He started (post retirement) to guide the budding students/ job seekers for various competitive examinations as well as regular course of studies in Science as well as Commerce to enlighten their career paths. He successfully showed his acumen in the field. With an intention and zeal to serve the common and weaker sections of the society, presently he has been working in AJMAL Foundation as Chief Accounts Officer since September, 2013. With his variety of experience in different fields, he feels happy to be a part of this noble organization to contribute something to uphold the motto of the organization” Serving Humanity in Need” as he laments.